Limited time. Buy 2 BPi Sports Isolate ISO-HD protein (1.6lb each) and get one free in all flavors at Bodybuilding for $57.56 ($19.3 each). Shipping is $5.98. 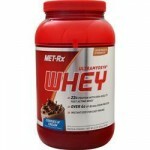 Even with that this is the lowest total price we could currently find by at least $17 shipped. Available in 4 flavors. Take a free gift on order $75. Plus, $5 Off $100+ with orders above $100 (Use coupon code 5OFF100 at checkout). 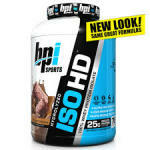 ISO HD™ contains 25 GRAMS OF ULTRA PURE 100% WHEY PROTEIN ISOLATES AND HYDROLYSATES (70 servings).